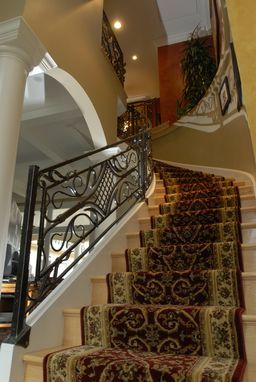 Hand Forged Custom made curved railing. 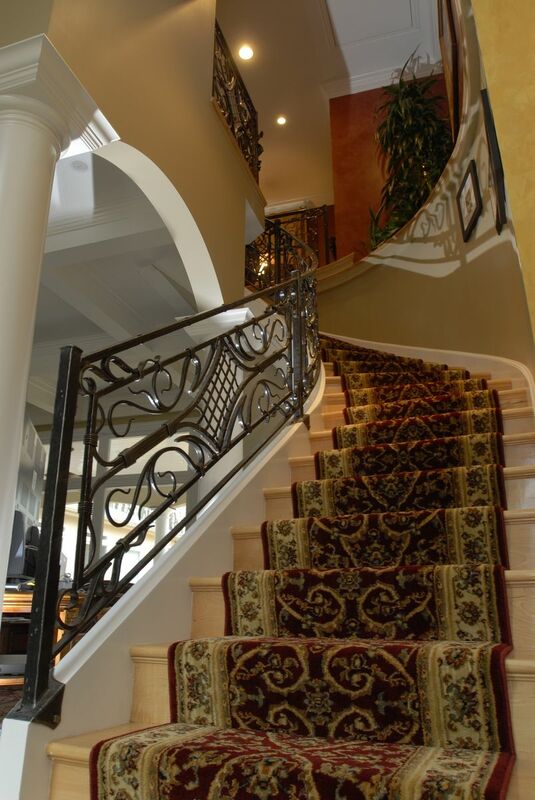 This Railing has Callalily details at the top landing of the staircase. For more detailed photo's please contact us.